Asus India has launched Asus Fonepad, the first 7-inch tablet with voice calling support. 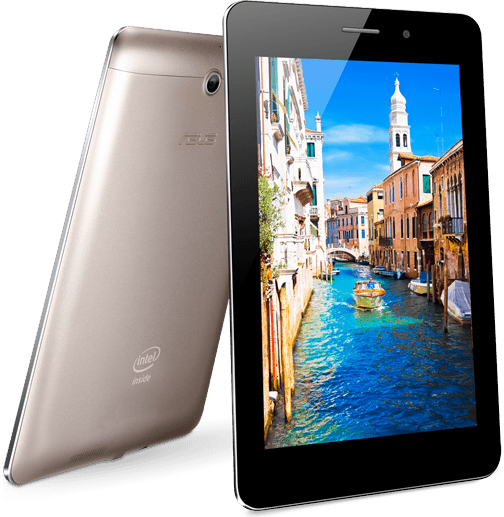 Asus Fonepad has 7-inch IPS display with wide viewing angles, 1.2 GHz Intel Atom Z2420, 1 GB RAM, 1.2 MP front and 3 MP rear camera with 720p video recording. The tablet runs on Android 4.1 Jelly Bean and it’s available in 8/16 GB Internal Memory. Asus Fonepad equipped with SonicMaster Audio Technology with Maxx Audio to deliver precise and crystal sound effects. The Asus Fonepad available in two color Gray & Gold. Price of Asus Fonepad: ₹ 15,999 and it will be available in India from 30 April.